Our collection appeared on the Internet in 2011, but its story is few years older. 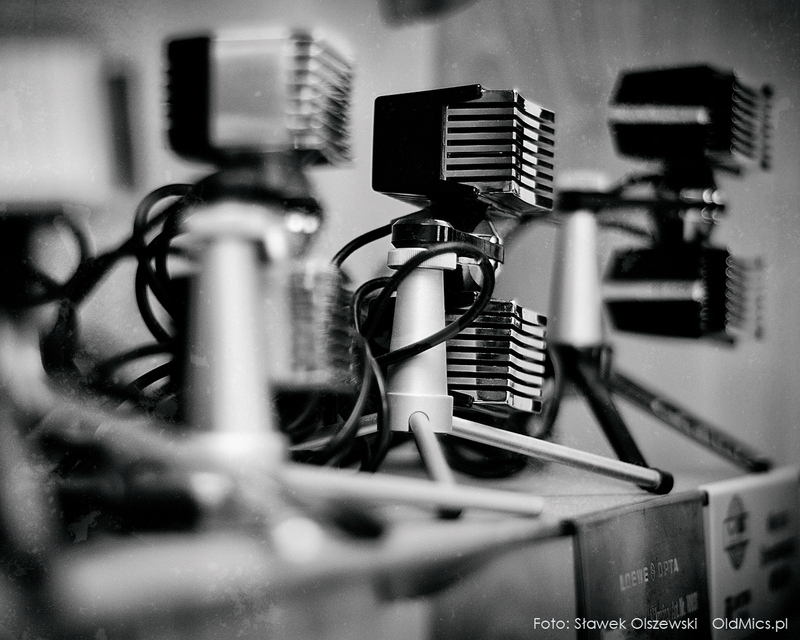 We started with few mics – for show and for fun. 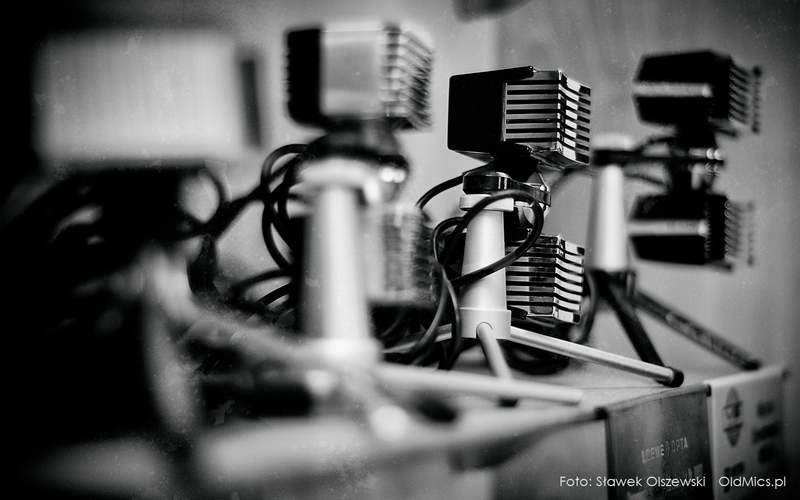 Nowadays, our collection exceeds over 200 mics from all over the world. 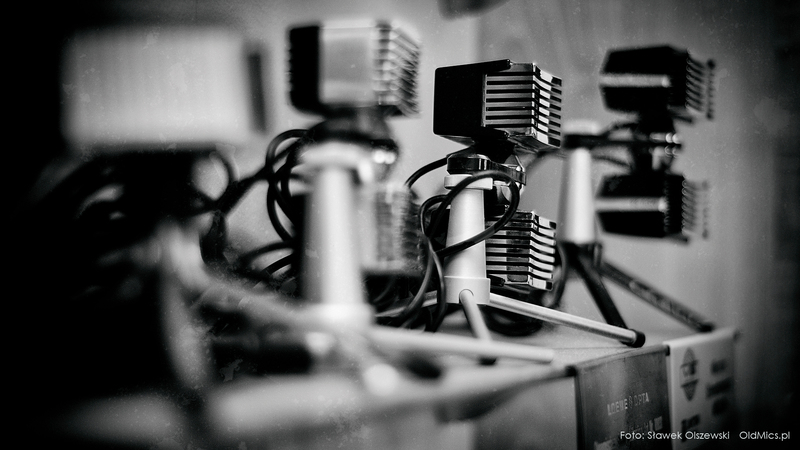 We are mostly proud of the oldest, rarest and brilliantly sounding mics. We use some of them in our everyday work. They're doing great, despite their age. The rest of them is busy taking photoshoots and bulding the biggest old mics musem in Poland. That's our goal. We are aware that the path leading to it will be long and expensive, but that won't discourage us. Thanks to our sponsors, you can check out our mic shelves today! Pick your brand and feel free to browse! A miniature stereo condenser microphone. Japan’s ultimate in miniaturisation of those years. A sleek metal body reminiscent of times when lighters of similar texture were made ;) Neat and impressive design. The cable terminates with two 1/8” jack plugs. Battery powered. A beautifully-made Japanese dynamic microphone. The structure is completely made of metal and is placed on an adjustable base. Valued by harmonica lovers both due to its sound and size. 3-pin DIN connector. 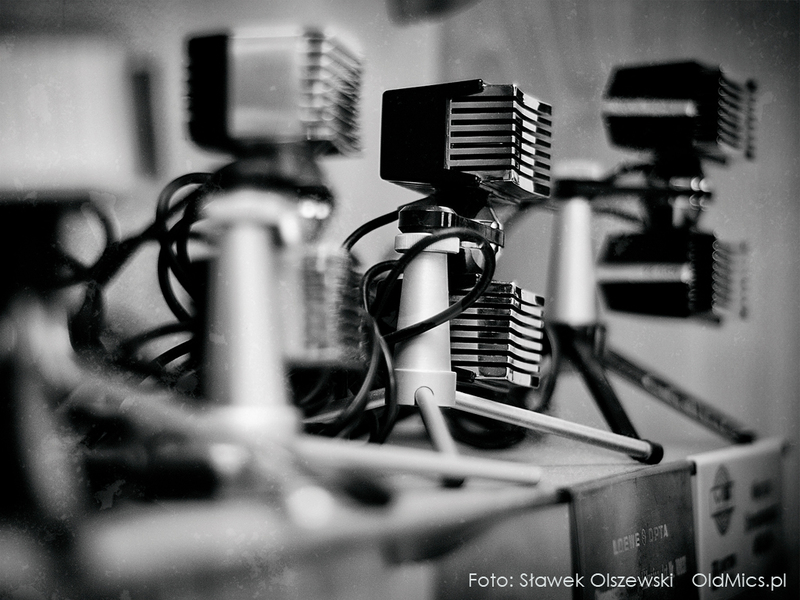 A plastic dynamic microphone on a neat stand with metal inserts. 50 kOhm resistance, a sturdy, stiff cord ending in a 1/4” jack plug. One of the typical 1970s series by this Japanese manufacturer. A microphone with a double plug, designed to be used with a Japanese dictaphone recorder. Made of metal, resting on a wire support. A switch located on the front wall. No further information available on the microphone. A condenser mike made in Japan. Quite solidly designed and mounted on stable support. Battery powered. The body features a switch. The cable ends in a 1/4” jack plug. Astatic D104 from the Silver Eagle series. One of favourite microphones of American hams. Installed on a G-Stand by the same manufacturer. A convenient, broad switch. The cable with a 4-pin DIN connector at the end. An eagle is engraved on the back of the housing. Beautiful and very reliable dynamic microphone from the United States. The twin brother of more popular Electro Voice 630. It works perfectly with electric guitars, vocals and harmonica. Entirely metal. Our piece is distinguished by its perfectly preserved strainer/pop filter. A piezoelectric microphone preserved in good condition, made in the USA by the Shure Brothers Company. Clone Shure 710 REX and Shure CX80C. It is made of all metal: very solidly made. The cable with a 3-pin DIN connector at the end.